How can you inspire stewardship, generosity and giving in your church? Here are six big ideas to consider. Cast (and re-cast) vision: People have to be constantly reminded of the vision of ministry of the church because vision leaks. There are three types of reminders—blast (fire hose), soak (garden hose), drip (soaker hose). You can probably imagine what each of these would look like in your church. Use the blast sparingly, relying more on the soak and drip so that your people absorb the vision and own it for themselves. Shape culture: You can have great vision, but bad culture will cause problems in implementing it. 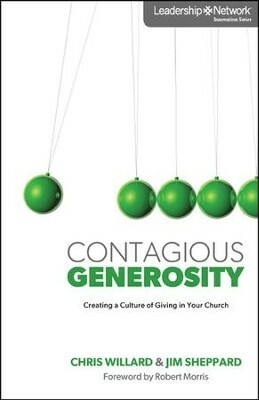 As church consultant Sam Chand has said, “Toxic culture trumps vision.” Culture is never neutral—it is either moving your ministry toward generosity or allowing you to drift away. Make sure you are always shaping culture so it is working for you. Demonstrate impact: Showing givers the results of their giving is like showing them a return on their investments, and people direct their charitable giving to where they see results. Results will inspire some. Others will be inspired by stories of change lives. No doubt your church has stories to tell, but they may be hidden in the numbers. Make sure you are accurately reporting results and telling inspirational stories of life change. Enhance relationships: People give to people, motivated by need and results. Build relationships with a broad spectrum of the people in your church in order to invite them to get involved. Make sure your schedule is not so full that you don’t have time to connect with the people in your church who can help fund the vision. Highlight good stewardship: Churches that practice good stewardship with the money that is given them earn givers’ respect. Look for obvious signs of waste or excess and let your people know about key decisions you more efficiently use the funds entrusted to your church.